From a mere kerbside inspection it is impossible to fully appreciate the size of this modern home. The tastefully appointed gas centrally heated interior benefits from double glazing. It has been decorated to a stylish contemporary design which gives the whole house a light and airy feel. The extension to the kitchen and dining areas provide that extra accommodation for the larger family that is seldom found in some more recently built properties. The property is favourably located just a few minutes from the well regarded Carnarvon Primary School . No excuse for being late for morning registration . If you are seeking a well-proportioned home featuring a good level of appointment have no delay in viewing 7 Willow Road it won t be available for long at this price! The location could not be better being only a couple of minutes from the A46 & A52 which provide access to Nottingham, Leicester and Newark. For those requiring national access the A1 and M1 are within half an hour s drive as is East Midlands International Airport. An ideal opportunity to acquire a three bedroom home in a favoured cul-de-sac location with the added feature of NO CHAIN... you could be moving in within a few weeks. The gas centrally heated and double glazed interior will no doubt appeal to first time buyers as well as young families and is in a ready to move into condition being beautifully presented. This coupled with the cul de sac location makes 9 Elm Avenue a most attractive proposition call us now to arrange your viewing! 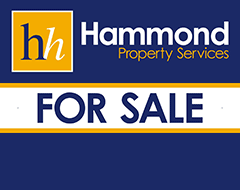 The property is handily placed around ten minutes walk from the local schools; in particular the highly regarded Carnarvon Primary and Toothill Schools. Bingham is on the edge of the renowned Vale of Belvoir which provides endless hours of walks as well as a variety of quaint rural villages, each with their own individual character and many with a village pub. 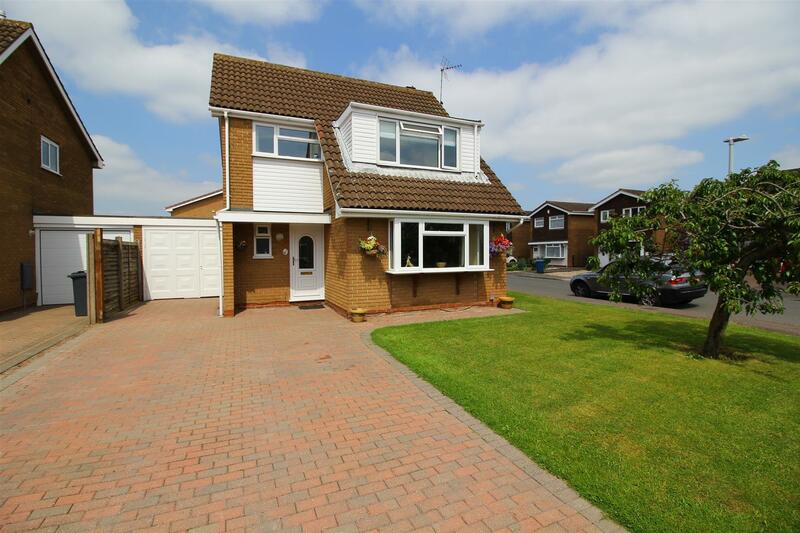 A beautifully presented 4 bedroom detached family orientated home, situated in a quiet cul de sac setting on a pleasant established plot benefitting from a southerly aspect to the rear which ensures plenty of sunshine during those balmy summer evenings. The property has been significantly improved over the years and benefits from contemporary fixtures and fittings with modern kitchen, refitted white bathroom suite, UPVC double glazing and gas central heating. In addition the property has a good size conservatory which leads through from the sitting room, providing a fantastic living / entertaining space with access out on to the very private rear garden. The property also benefits from a ground floor cloakroom and would be ideal for families which require both the extra ground floor space and the four bedrooms... for less than £295,000. Block paved driveway with 2 parking spaces. Within the Bingham Market Place is a wide range of shops. Carnarvon, Robert Miles and Toothill Schools catering for all school age groups are also extremely popular and highly regarded due to their Ofsted reports. For the busy executive, the upgraded A46 & A52 are close at hand providing access to the surrounding commercial centres of Nottingham, Newark, Leicester and Grantham. Bingham enjoys a wonderful range of supermarkets and independent shops, eateries, coffee house, public houses with a market held every Thursday. There is also a medical centre, pharmacies, dentists, leisure centre and a library. Bingham is on the edge of the renowned Vale of Belvoir which provides endless hours of walks as well as a variety of quaint rural villages, each with their own individual character and many with a village pub! 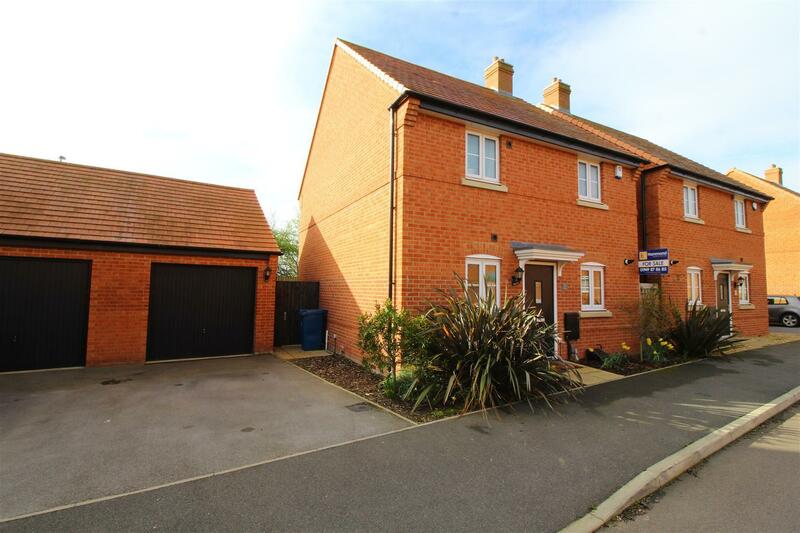 One of the most spacious four bedroom detached houses for under £350,000! Sounds too good to be true but it isn t! 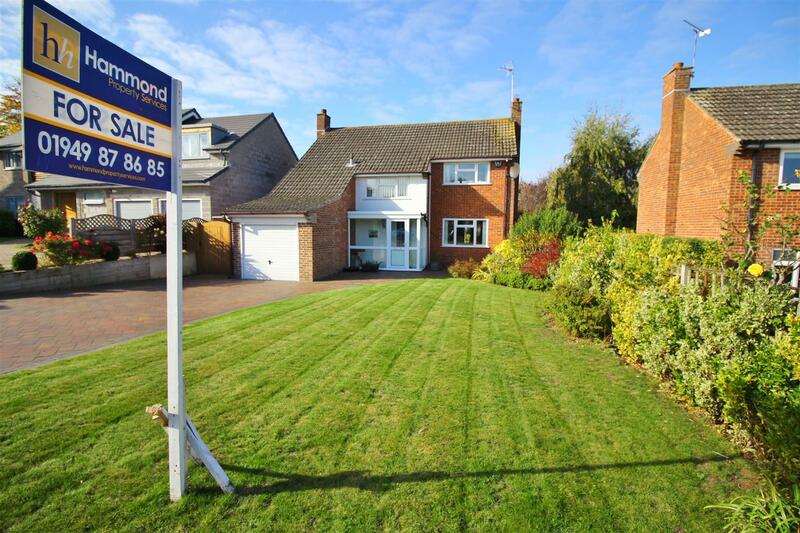 This substantial detached home is situated in this very highly regarded area of Bingham and provides ideal accommodation for those with larger families who need the space, space and more space! From a mere kerbside inspection it is impossible to fully appreciate the size of this quite superb home which has been enhanced by an extension to the rear that adds both a utility area and downstairs W.C. .. Perfect for those families looking for extra space to grow into or for those looking to downsize who do not want to lose too much living space! The property is favourably located and is also just a few minutes from the well regarded Carnarvon Primary School a real bonus for those with young children - with no excuse for being late for morning registration. 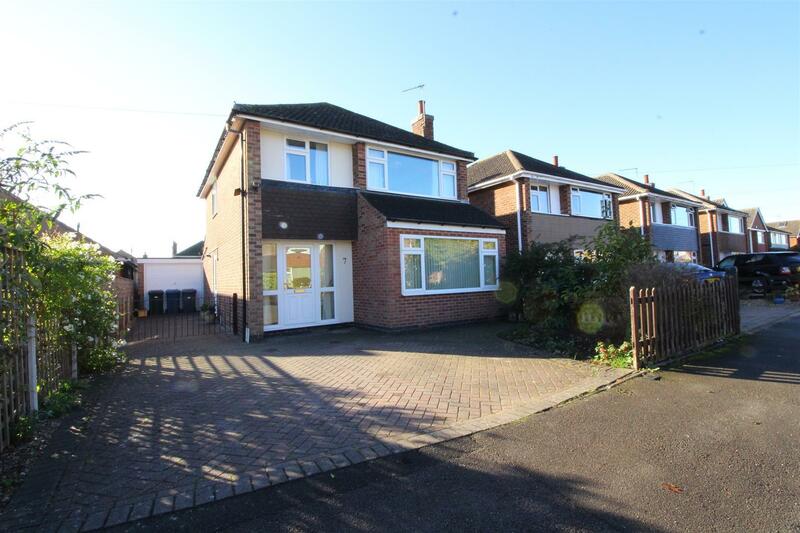 It s a four bedroomed detached home competing with 3 bedroom properties .see it as soon as possible you won t be disappointed due to the extra space provided to the ground floor with a sensible extension! A first class detached home enjoying a favoured position in this pleasant cul de sac location just a couple of minutes drive from Bingham Market Place and with very easy access to a bus stop. The gas centrally heated and double glazed interior provides well maintained and improved accommodation ideal for professional couples/young families as there is an extension to the rear that now provides a wonderful family room with double doors to the rear garden. It enjoys a stylish and yet simple decorative finish as well as a delightful easy to maintain gardens to both front and back. The addition of cavity wall insulation and an air conditioning unit to the family room are two simple examples of the high standard of maintenance and investment in the property by the current owners. This superb family home is offering a tremendous amount of ground floor living space, featuring a spacious conservatory (over 23ft in length) spanning almost the full width of the property with access from both the lounge and family room. Other rooms on the ground floor include large lounge with oak flooring, good sized family room, kitchen with refitted units, separate utility room and ground floor cloakroom. On the first floor a particularly large master bedroom extends the full depth of the house with dual aspect, there are two further good size bedrooms and refitted shower room with Roca suite. The property offers the floor space normally associated with a four bedroom home, hence all the rooms being a good size, particularly the bedrooms. The kitchen has been refitted with a range of contemporary units in beech style, the first floor bathroom has been refitted with a Roca suite incorporating a fully tiled shower with glass door and a superb custom built conservatory has been added to the rear of the property creating a large area of reception space ideal for entertaining; the current owners utilise it as a dining room and additional sitting area. There are UPVC double glazed windows and a Viessman gas combi boiler. New 'Howdens' quality doors and fittings throughout! The larger than average gardens (130ft in length) have been professionally landscaped and superbly maintained by the current owners, Westerly facing, the gardens catch the afternoon and evening sunshine having a good degree of privacy with mature trees and shrubs - perfect for those who enjoy al fresco dining during those balmy summer evenings. 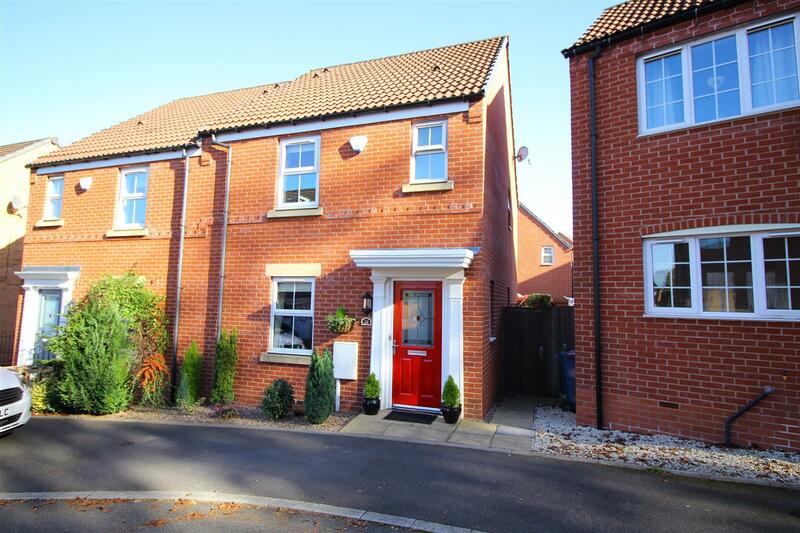 One of the best semi detached homes currently on the market at this price range! 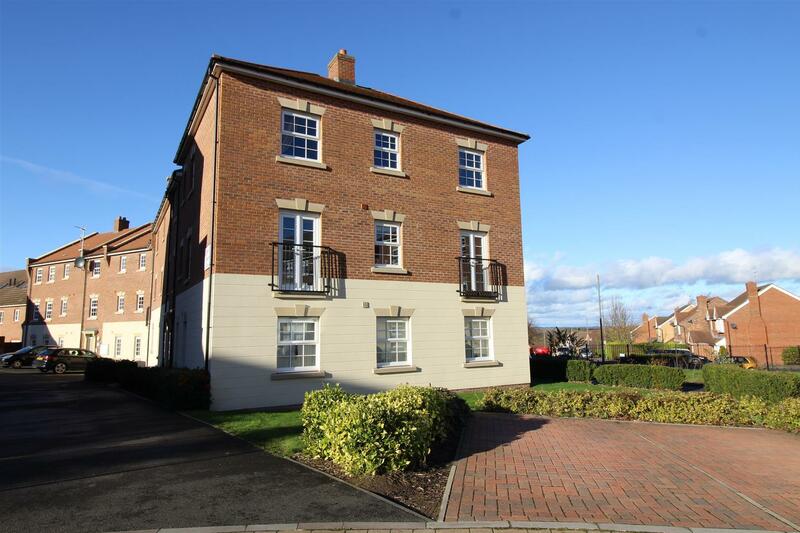 Built by Miller Homes, this first class home conveniently located in this sought after development provides beautifully appointed accommodation in ready to move into condition. The added living space provided by the Conservatory should put this to the top of the viewing list for any buyers out there with £220,000 to spend! To the rear of the property is a GARAGE - an added bonus when compared to those properties with only a parking space. The gas centrally heated and double glazed accommodation is absolutely perfect for young professional couples seeking stylish living in this very popular Market Town. The stylish interior is well complemented by an equally well presented, landscaped and sunny garden which, we are informed, is a delight to sit out in during the long, hot summer months! The Drayton is a 4 bedroom family sized new build home from the highly regarded Bellway Homes, located within the Newton Park development at Newton. The modern open plan kitchen/ diner is conveniently located at the back of the property with double doors leading onto the patio of the private rear garden. The living room is located at the front. The Drayton also benefits from a downstairs cloakroom and a useful separate utility room. The upstairs space has a fantastic master bedroom with a shower En-suite. 3 further bedrooms all have easy access to the main family bathroom. Externally the property benefits from a single garage to the side as well as parking for numerous vehicles important to all growing families. 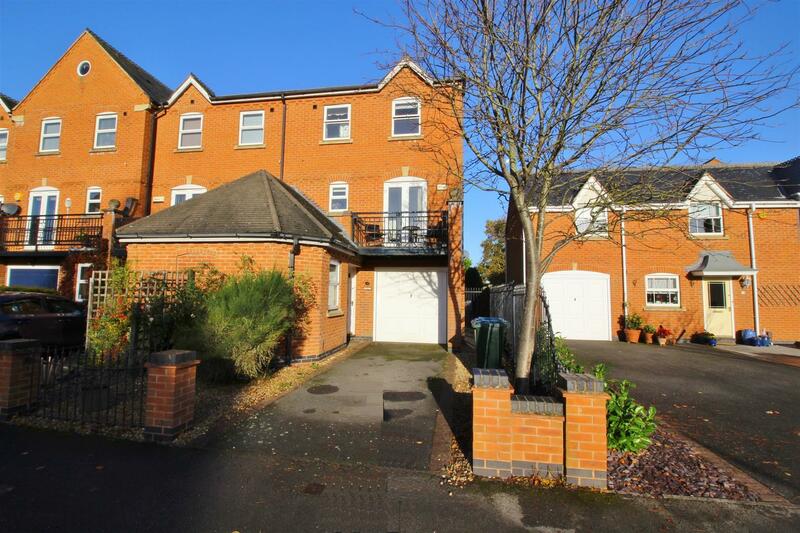 With a well-regarded Primary School, pub diner, Post Office and local shops in the adjacent village of East Bridgford, there is a wider range of schools, shops and leisure facilities in the traditional market town of Bingham 2 miles away. 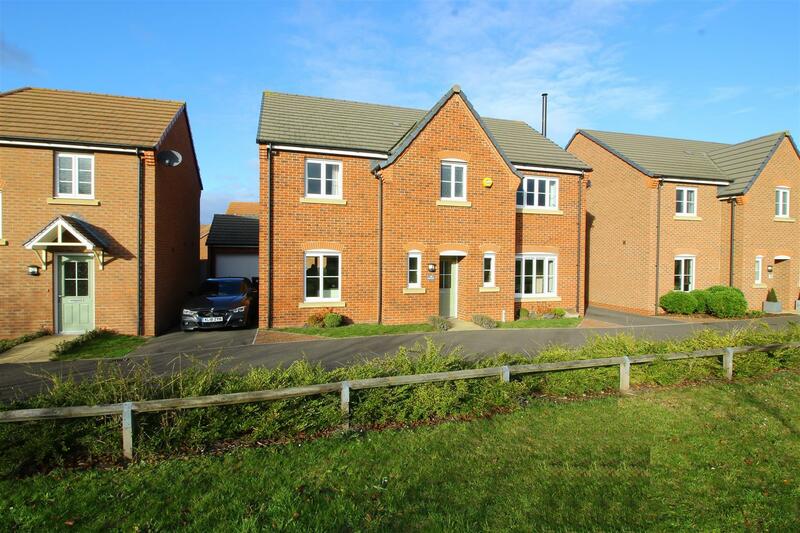 The development is superbly located just off the meeting of the A52 and A46 at Saxondale Island, with Newark, Grantham, Leicester and Lincoln, all within a comfortable commuting distance. For busy professionals, Newton really is the perfect location. It is around 9 miles from Nottingham City Centre and is just a couple of minutes from the Vale of Belvoir with its quaint villages and lovely countryside ideal for relaxing Sunday afternoon walks! 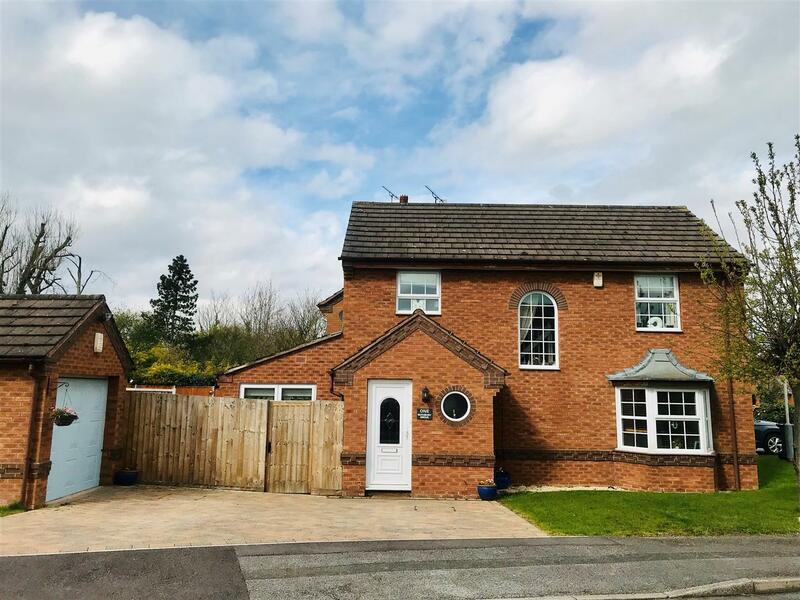 A wonderful opportunity to acquire an Elsmere style semi detached home constructed by the highly regarded developers Ben Bailey Homes in 2006. Occupying an elevated position with wonderful views to the north and set within this select development, this well proportioned home provides delightful accommodation arranged on three levels. The size of the interior is well matched by a southerly facing rear garden which includes a patio area with lawn beyond. 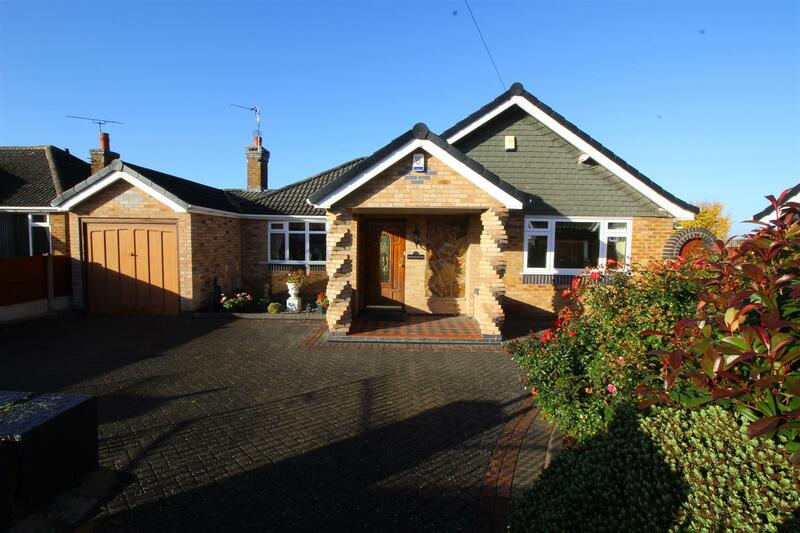 The exterior is completed by a brick built garage and block paved driveway providing extra hard standing. 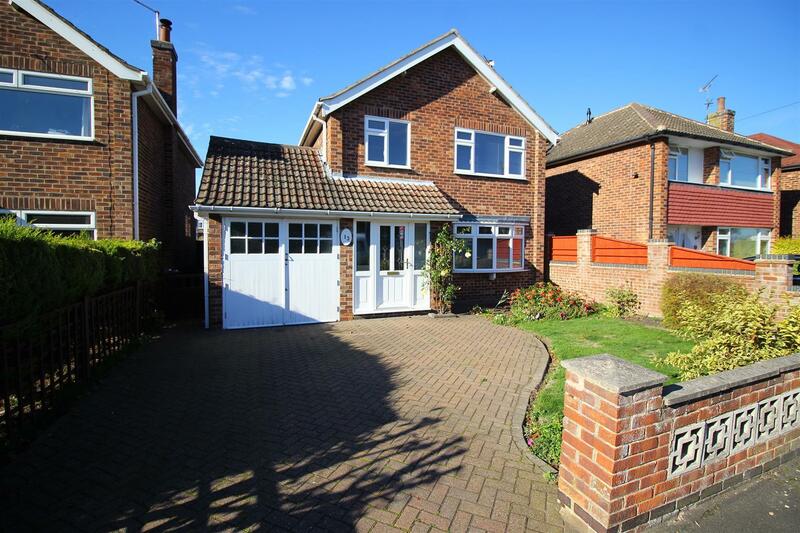 A great opportunity to purchase a 4 bedroom detached house in a very populoar location. Built by the well-regarded builders McLean Northern this lovely home enjoys a much sought after westerly aspect to the rear which gives the whole house a lovely light feel to it. However, it is the stunning kitchen and very large conservatory that sets this one apart from anything else at this price range. The westerly facing and, therefore, very sunny rear garden is more private than many we have seen this year. The good sized accommodation is well matched by an equally good sized garden perfect for growing families. Indeed, for those with young children, the location could not be better as the property is just a couple of minutes walk from the highly regarded Carnarvon Primary School & Toothill College so there is no excuse for being late for morning registration! Bingham is on the edge of the Vale of Belvoir which provides endless hours of walks as well as a variety of quaint rural villages many with quaint village pubs. 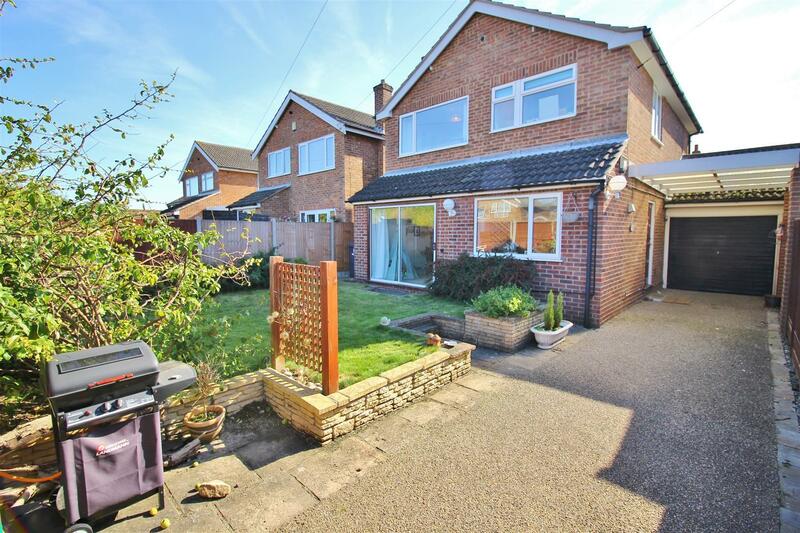 This is a very well presented, three bedroom, detached home with a genuine feeling of space, space and more space being the memory that you will walk away with after your viewing. The ground floor accommodation has been cleverly extended to enhance the day to day living space. The gas centrally heated and double glazed accommodation is ready to move into and the property enjoys a delightful southerly facing aspect over the extremely private rear garden. For those with young children there is a recreation ground close by on Cogley Lane and St Mary's Road is around five minutes walk from the shops within Bingham Market Place (via the well designed short cuts ) where there is also a regular bus service to Nottingham City Centre. Carnarvon, Robert Miles and Toothill Schools catering for all school age groups are also extremely popular and highly regarded due to their Ofsted reports. Another opportunity to acquire one of these very popular Enness Homes built, gas centrally heated and double glazed homes which offer typically spacious day to day living space and this one is tucked away to towards the top of a cul-de-sac ideal for those with smaller children. The extended accommodation now provides that extra space that makes all the difference to a growing family or for those looking to downsize from a larger property but who do not wish to lose living space - with a very large Utility Room, downstairs W.C. and a wonderful 'garden room' to the rear. The good sized accommodation is well matched by an equally larger than average garden perfect for growing families. Indeed, for those with young children, the location could not be better as the property is just a couple of minutes walk from the highly regarded Carnarvon Primary School so there is no excuse for being late for morning registration! In all, this is a home for which we strongly recommend an early internal viewing as a mere kerbside inspection only hints at the size of the accommodation on offer with the potential for further development and enhancement! Why not see it this weekend? 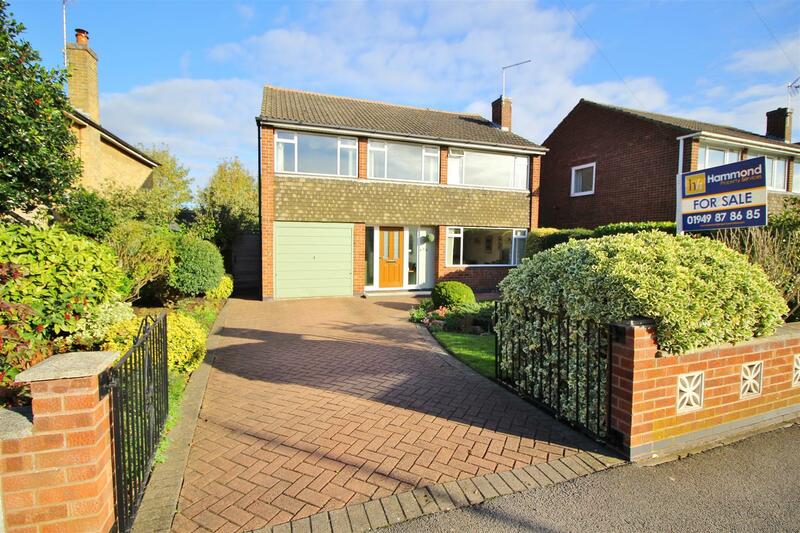 This substantial 3 OR 4 bedroomed semi-detached family home with very spacious accommodation is ideally situated within a very sought after location; a lovely breath of fresh country air feel to the whole area. Indeed, one of the features of the development is the lovely parkland setting with its mature tree-lined footpaths where you can enjoy endless hours of pleasure. There are many open spaces in and around the development along with a restaurant and bar, a hairdressers/beauticians, tennis courts and a bowling green. 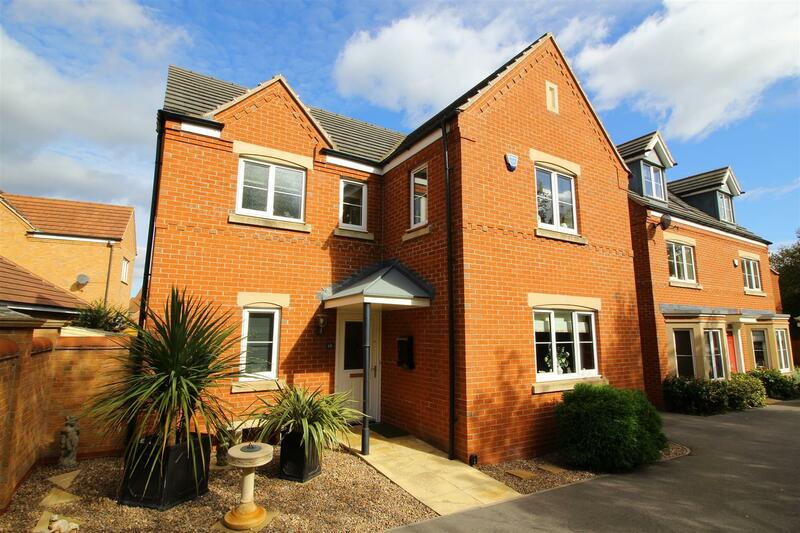 Set within a very relaxing environment and yet it is just a few minutes from the A52 & A46 two of the most important roads in the area allowing very easy access to Nottingham, Leicester, Newark and also Grantham which provides fast access to London King s Cross Station in just over an hour. What could be better for the busy executive? peace and tranquillity coupled with national road, rail and air links close at hand at East Midlands Airport! A spacious area of block paving parking to the front gives access to an entrance door into the attractive hallway with a downstairs W.C., utility room and very versatile room which can be utilised in many different ways by many different buyers - you decide! The separate sitting room to the first floor is extremely private with views of greenery and the rear garden. To the rear, the gardens are a sheer delight and can be approached by a paved pathway to the side and through a wrought iron gate landscaped gardens with a private patio and mature shrubbery and a useful outside tap, garden shed and raised planting areas. So, whether it is the afternoon cup of tea and a bit of cake or the final drop from a bottle of Merlot you and your family (and numerous friends) will enjoy the relaxing view across the rear garden perfect for those who enjoy privacy and al fresco dining with friends and family during those balmy summer evenings. DO NOT JUDGE A BOOK BY ITS COVER! - This is much larger than it looks from the front!!! 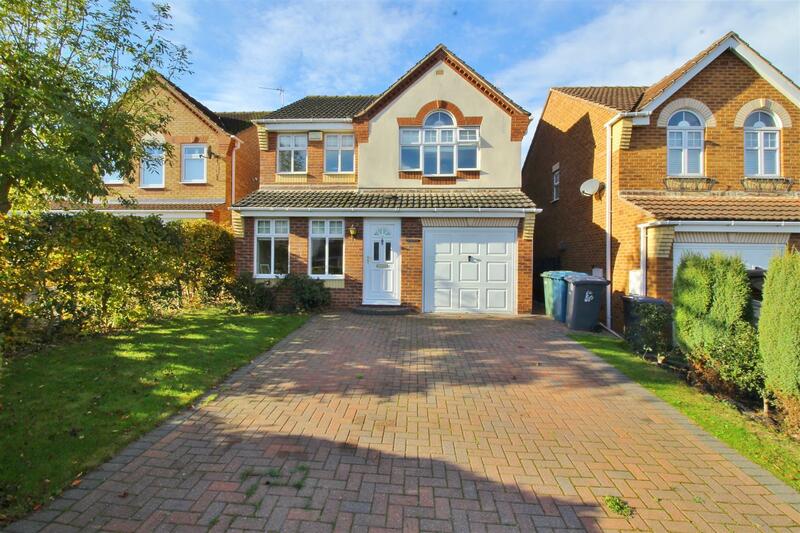 A truly SPACIOUS 4 bedroomed detached family home for the family or for those looking for the impossible - somewhere to downsize to without compromising the spacious accommodation we all want to retain! A wonderful setting for the dream home with plenty of space, space and more space at the end of a cul-de-sac! Just have a look at the space and number of rooms; large entrance Porch, spacious Lounge, separate Dining Room, large Breakfast Kitchen and a Conservatory overlooking the very private Rear Garden and then the bedroom accommodation... not only 3 double bedrooms which are served by the Bathroom, there is a main Double Bedroom (18 6 x 12 6) which has its own en-suite shower facilities. To the fore is the block paved driveway where there is generous off-road car standing for numerous vehicles that leads to the GARAGE. Overall viewing is the only way to truly appreciate this excellent home which is likely to appeal to a wide audience including professional couples, young families or even those downsizing from larger dwellings requiring a well-placed immaculately presented home situated within easy reach of the wealth of amenities. Privacy to the rear garden is something that is difficult to find within many parts of Bingham .rest assured this is one of those properties that enjoys tremendous privacy and is ideal for those who enjoy al fresco dining in the summer sunshine within the much larger than average plot and patio with a further area of decking. This fine home offers the perfect combination of stylish contemporary living whilst this popular Market Town is also on the edge of the Vale of Belvoir with its limitless walks as well as quaint villages, many with their own hostelries and each with their unique character! Just a few minutes walk away is Bingham Market Place with its range of shops. 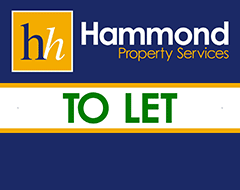 BUY THIS PROPERTY THROUGH HAMMOND PROPERTY SERVICES & ENJOY A £100 VOUCHER AT THE CIRCLE RESTAURANT IN BINGHAM TO CELEBRATE MOVING IN DAY!!! Built to the very popular Portswood Design by very reputable builders Redrow Homes, this is a very spacious built four bedroom detached family home occupying a large plot with open views to the front. The accommodation briefly comprises of open plan Kitchen, Family and Dining Areas with bi-fold doors leading into the rear garden, separate Lounge, Utility Room, Downstairs W.C. Master Bedroom with en-suite shower room, Two Bedrooms with a shared Jack & Jill Bathroom arrangement and a Further Bedroom, Family Bathroom, Detached Garage and Larger than average Gardens that enjoy plenty of sunshine and al fresco dining during those balmy summer evenings. 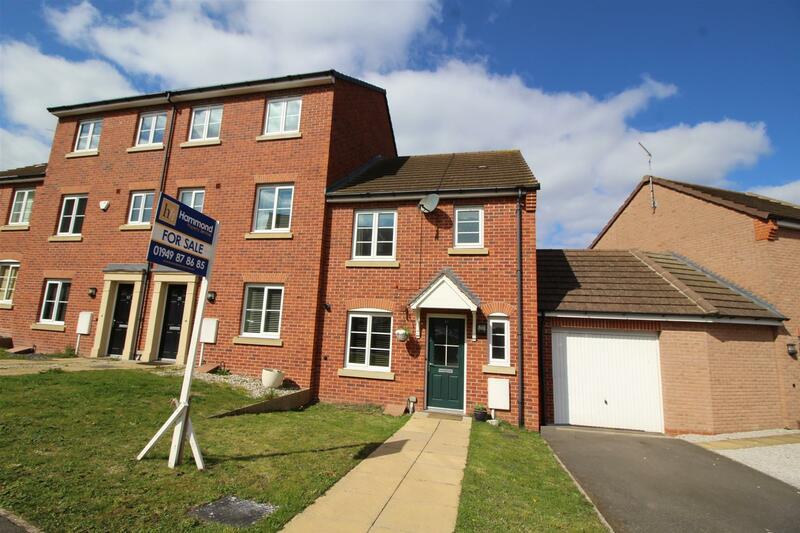 The property is BEAUTIFULLY presented throughout with tasteful contemporary decor, gas central heating, UPVC double glazing and benefitting from the balance of its NHBC warranty. The property enjoys open views to the front in a short cul-de-sac as well as having additional off road car standing for several vehicles and a garage. This three bedroom family home offers the opportunity to walk in, put your furniture down and do nothing following the complete overhaul of this wonderful home by the present owners - and all set within one of Nottingham's premier Market Towns. Voted one of the best places to bring up a family in the UK, Bingham offers a wealth of amenities including supermarkets, shops, restaurants, public houses and award winning primary and secondary schools. The property benefits from uninterrupted views over the parkland and sports pitches to the rear. The property comes with gas central heating and double glazing throughout and offers the following accommodation. Enter the property through the front door into the entrance hall with adjoining spacious lounge area with dual aspect windows overlooking the front and rear of the property. Also leading from the hall is the generously proportioned dining kitchen with a separate utility area allowing access to the rear garden and there is a separate downstairs W.C..
To the first floor the property has three double bedrooms and a bathroom with a completely upgraded 3 piece bathroom suite comprising a 'P' shaped panelled bath with shower over and screen, a low flush W.C. and feature vanity area with contemporary sink and block mixer tap with deep drawer under. A wall mounted chrome towel radiator and double glazed window complete the room! To the exterior the property has a gated gravelled driveway to the front of the property and a large private garden to the rear whicc is mainly lawned with hedge and fence borders, a large area of decking for those who enjoy al fresco dining during those balmy summer evenings... and all completed with a garden shed. A stunning first floor contemporary apartment recently completed by the highly regarded Redrow Homes to a high specification with a generous level of accommodation which includes security access to the communal entrance door, private entrance hall with both cloaks and airing cupboard, a fantastic open plan living/dining kitchen benefitting from a dual aspect with far reaching panoramic views across this popular market town and the A46 and Newark beyond. The kitchen is beautifully appointed with a generous range of contemporary gloss white fronted units with integrated appliances, which opens out into a large versatile reception space. In addition there are two double bedrooms with the master benefitting from en-suite facilities and fitted wardrobes, and a separate main bathroom. The apartment also benefits from UPVC double glazing, electric heating and neutral decoration throughout. Overall this would be a perfect purchase for first-time buyers, single or professional couples and even buy to let investors requiring a modern low maintenance dwelling which is well placed for access to the wealth of local amenities. and dentists, several pubs and restaurants. Bingham is also conveniently located close to the A46 and A52 with further links to the A1 and M1 providing good road links to Nottingham and Leicester. *** Leasehold Flat for 125 years from 1st January 2013 with an annual service charge payable of approximately £570 or £47.50 per month. This covers the Building Insurance, the cleaning and lighting of all the communal areas, the gardening and maintenance of the landscaped areas, and the external cleaning of the windows. The ground rent is £124 annually (or £62 bi-annually). A superb Miller Homes property built to the very popular Shakespeare Design, completed in 2010, this beautifully presented detached home offers accommodation over two floors which includes entrance hall, sitting room, dining room/study, breakfast kitchen, utility room and W.C to the ground floor, with three double bedrooms (master with en-suite shower room) and a family bathroom to the first floor. Well appointed throughout, the property benefits from gas central heating and UPVC double glazing, enjoys enclosed and landscaped gardens to the rear with a sun trap garden summer house - the perfect venue from which to enjoy the last glass of Merlot, further landscaped garden to the front, a driveway to the side providing off road parking and a single garage - an additional pedestrian access gate leads from the driveway and garage to the rear garden and the back door. The property is alarmed. This fine home offers the perfect combination of stylish contemporary living whilst this popular Market Town is also on the edge of the Vale of Belvoir with its limitless walks as well as quaint villages, many with their own hostelries and each with their unique character!. For the busy executive, the upgraded A46 & A52 are close at hand providing access to the surrounding commercial centres of Nottingham, Newark, Leicester and Grantham. Bingham enjoys a wonderful range of supermarkets and independent shops, eateries, coffee house, public houses with a market held every Thursday. There is also a medical centre, pharmacies, dentists and a library. Should a shopping trip to the larger towns be the order of the day Bingham has direct rail links to Nottingham and Grantham and bus routes to Nottingham and the surrounding villages. An attractive contemporary detached home built by Linden Homes to a high specification and offering a versatile level of accommodation appealing to a wide audience including professional couples, young families making use of the local schools and those downsizing looking for a well presented, modern and efficient home situated within close proximity of a wealth of local amenities. A well-appointed home offering a light and airy atmosphere and tastefully decorated throughout. The versatile layout comprises an initial entrance hall giving access to the ground floor cloakroom and storage cupboard. 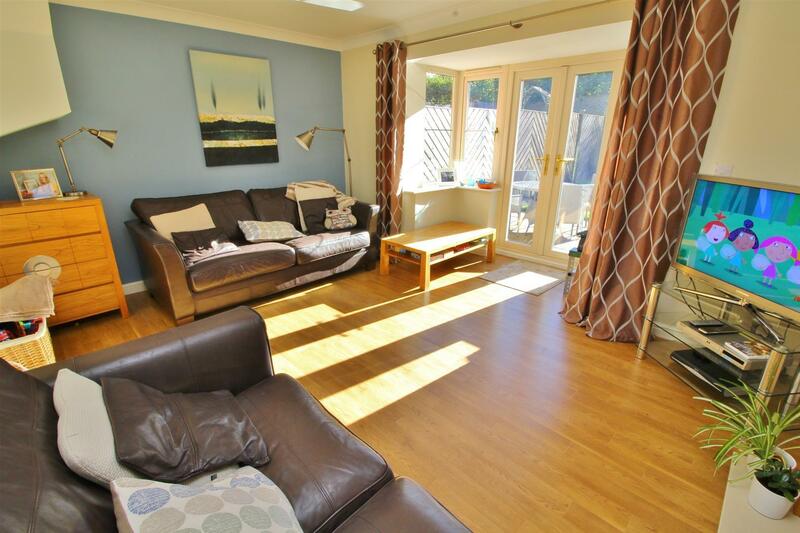 A spacious sitting room looks out onto the rear garden and links to an open plan dining kitchen. The dining kitchen creates an ideal entertaining space, and benefits from a contemporary fitted kitchen with a range of integrated appliances. The additional living space provided by the conservatory will appeal to many! The first floor has a spacious landing which leads to three well-sized bedrooms and a contemporary family bathroom. The master bedroom benefits from a fitted wardrobe, ensuite shower room and views over the rear garden. The property benefits from a driveway to the side and a separate garage. A low maintenance front garden and enclosed and southerly facing rear garden create a useful outdoor space, ideal for everyday living or entertaining. 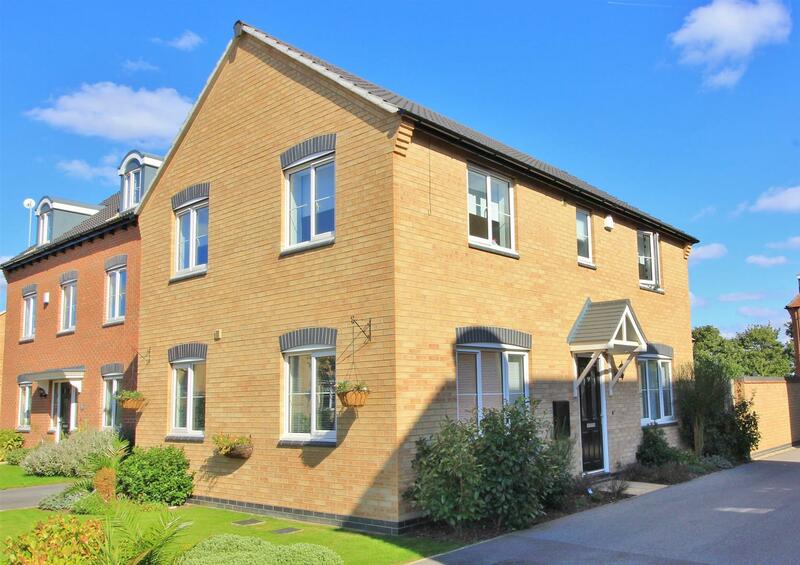 The market town of Bingham is well equipped with amenities including a range of shops, outstanding primary and secondary schools, doctors and dentists, leisure centre and railway station with links to Nottingham and Grantham. 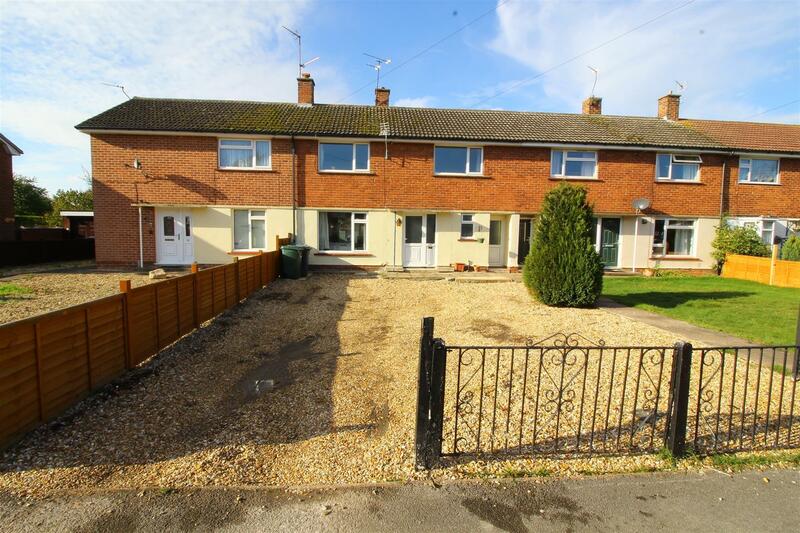 3 bedroom mid terraced property. Designated parking space. Gas fired central heating. Upvc double glazed windows throughout. Low maintenance gardens. Accessed via a part glazed composite door. Central heating radiator. Storage cupboard under stairs. Ceramic tiled flooring. Located at the front of the property off the entrance hall. Close coupled wc, wash hand basin. Upvc double glazed window. Central heating radiator. Ceramic tiled flooring. With range of wall and base units finished with cream coloured doors with aluminium handles. Butchers block finished laminated worktop with matching upstand, and glass splashback over hob area. Built-in microwave oven, electric oven and four ringed gas hob, one and a half bowl inset stainless steel sink unit. 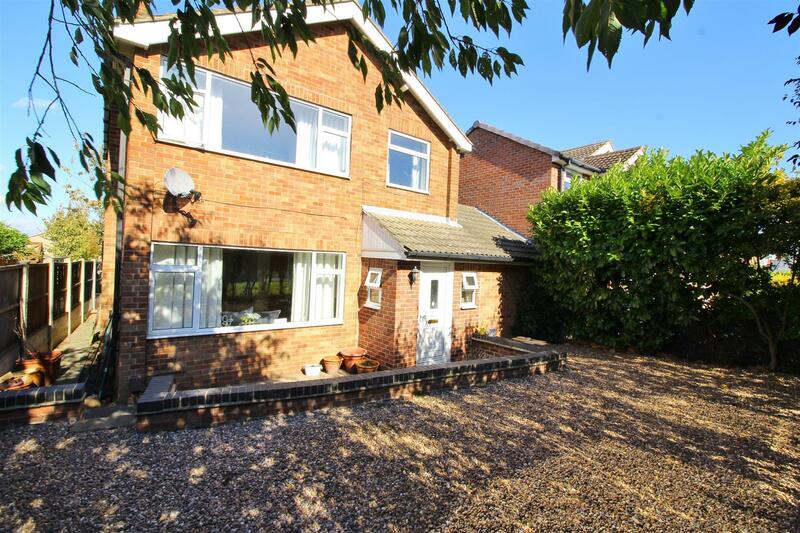 Situated at the back of the property and having pair of upvc double glazed French doors with glazed side panels. Feature fireplace with limestone surround and marble insert and hearth. Laminated floor covering. Central heating radiator. Located at the rear of the property. Pair of built-in wardrobes. Upvc double glazed window. Central heating radiator. Laminated floor covering. Having walk in shower, close couple wc, and wash hand basin. Chrome finished towel heater. Ceramic tiled flooring. Situated at the front of the property, and having a upvc double glazed window, central heating radiator and laminated flooring. Having modern white bathroom suite with bath, with thermostatic shower over, close coupled wc and wash hand basin. Chrome finished towel heater. Ceramic tiled floor. Upvc double glazed window. With upvc double glazed window, central heating radiator and laminated floor covering. The front garden is laid mainly to lawn with a concrete footpath leading to the front door from the pavement. The rear garden is enclosed and has a timber shed. There is also a paved patio area, and access to the rear.